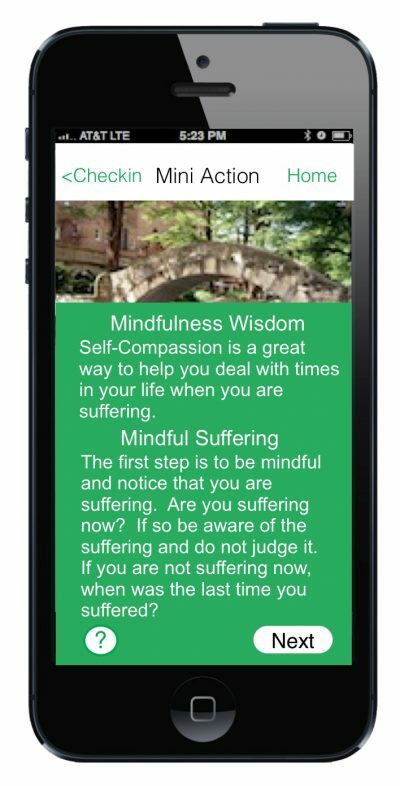 Looking to develop a health mobile app? 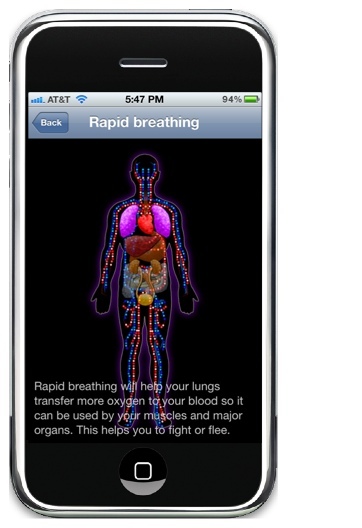 HEALTHeDesigns specializes in helping you take your app idea and making it a reality. Dr. Phelps has over 18 years of experience designing technologies in the health arena, and she will guide your mHealth project to be the best it can be. 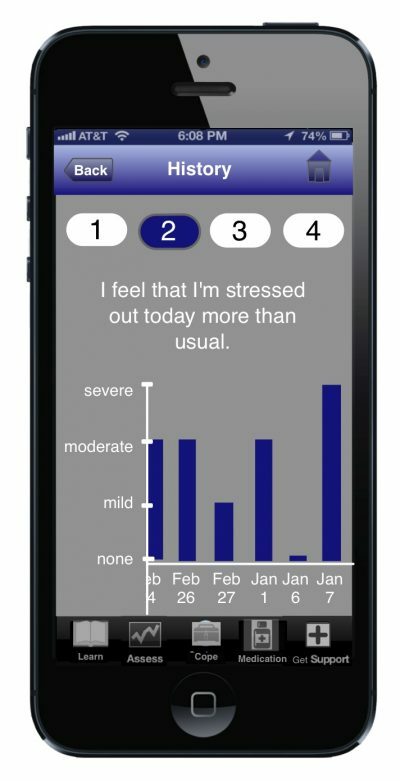 HEALTHeDesigns has developed several mental health mobile apps for the Veteran’s Administration, so we have the experience it takes for long-term or complicated projects. We develop a custom solution for you based on your needs, whether it be the utilization of a platform or native code. Use our behavioral design expertise to hone your idea. Get a fixed price contract. Recovery Coach is an app developed for the Veterans Administration to help Veterans manage Schizophrenia. It includes many features, but the graph above shows how you can track your symptoms over time to try to predict a relapse before it happens. 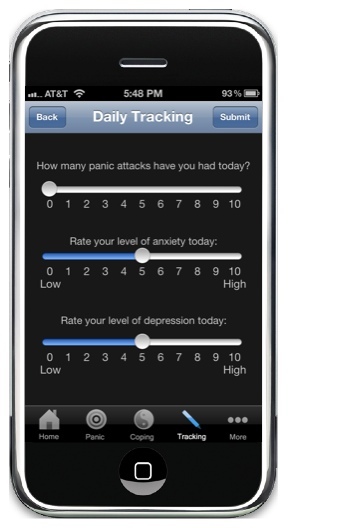 InnerAlly is a mobile app to help people improve their mental wellness with a daily practice. It uses positive psychology research to drive the learning and activities that help people change behavior and thoughts to thrive mentally. 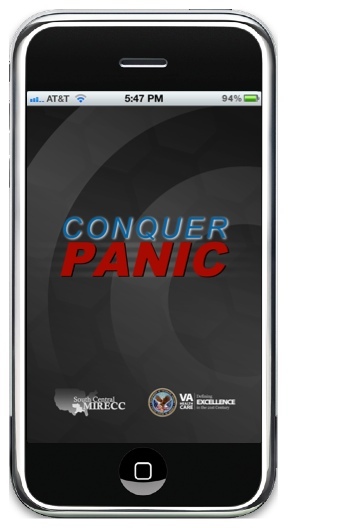 Conquer Panic is an app developed for the Veterans Administration to help Veterans manage Panic Disorder. It includes many features to help veterans deal with panic attacks in the moment, including breathing exercises, and also ways to prevent panic attacks before they happen. We want to develop your health app! It’s easy for you to get started. Tap into my expertise to help you make a decision about how to develop your app. 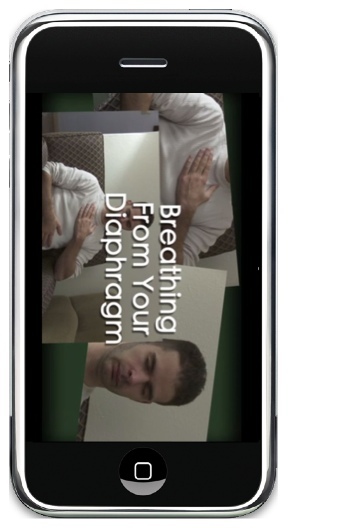 HEALTHeDesigns develops high-end intensly interactive apps. We amy not be the right shop for you, but we can send you off with a referral. We will create a Functional Specifications document that will help us to define what your app does and how it will be built. Your ideas guide the development of design documents that lay out the screen shots from the app, the navigational structure and how it incorporates the functionality. These documents will help us accurately price your app project. This is where the plans spring into action and your app gets built. We do an alpha development round and then a beta for you to test with your users.